Have you heard an interesting speaker lately? One that captures your attention, engages your senses and has you hanging on every word? Chances are if you have, that person was able to paint a visual picture for you; one that described experiences in details or helped you to see in your mind a certain experience. Visual thinking is not only an effective tool for communication but it has also helped solve some of the most complex and difficult problems of our time. It has allowed us to SEE medical cures, nuclear physics and other complex problems. A picture is worth a thousand words, and always will be because that’s the way your mind thinks naturally and easily. 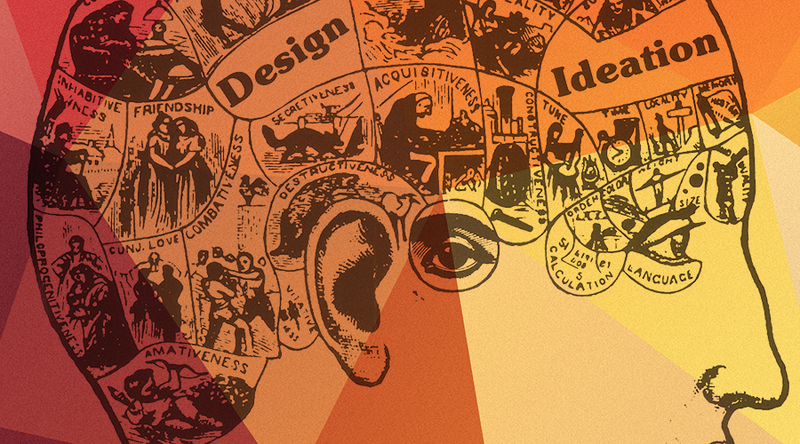 So how can you tap into being a better visual communicator and creative thinker if you’re not creative? 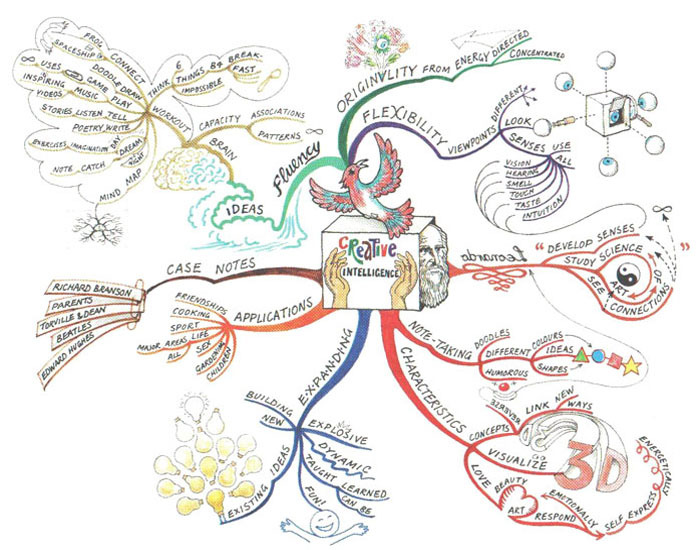 Mind maps, which are a graphical way to represent ideas and concepts is a visual thinking tool that helps to structure information and also helps to generate new ideas. •	Start in the middle of a blank page, writing or drawing the idea you intend to develop. •	Develop the related subtopics around this central topic, connecting each of them to the center with a line. •	Repeat the same process for the subtopics, generating lower-level subtopics as you see fit, connecting each of those to the corresponding subtopic. As you make these visual connections you form concepts and then solve the problems that develop from the concepts. In website design I use a form of mind mapping which is sitemaps. The visual sitemap helps me to structure and design the relevant information and helps me think through the process of how the visitor will interact with the website. Sitemaps are also effective for planning SEO and how content and phrases work together and get found in search. Curious on how to mind map? Download the PDF here. Curious, Creative (and sometimes messy)! Curiosity is key to creativity. 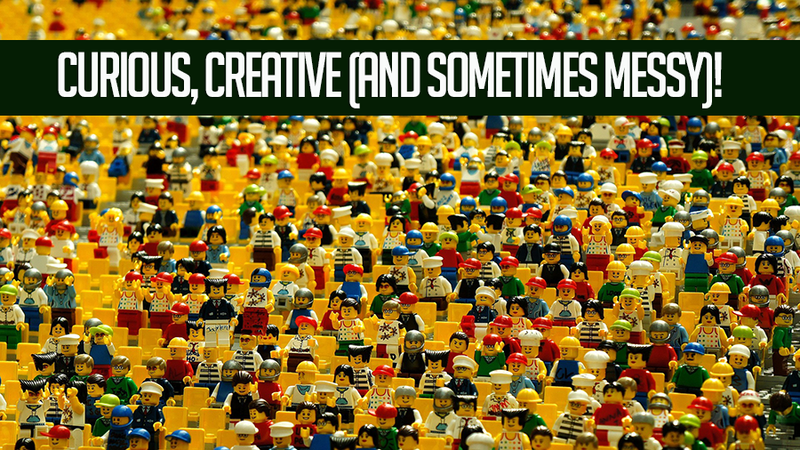 Who, what, why, where and so on are questions to ask yourself to stir up your creative spirit. Everyone has creativity. Curiosity is a combination of intelligence, persistence, and hunger for novelty, all wrapped up in one. Successful innovators and artists acquire stores of knowledge which they can then draw on unthinkingly. The ‘store’ of knowledge can be in the form of collecting (which can lead to clutter). They mix and remix ideas and themes, making new analogies and spotting unusual patterns, until a creative breakthrough is achieved. What’s the point? Collect and learn about the things that you find interesting and curious. 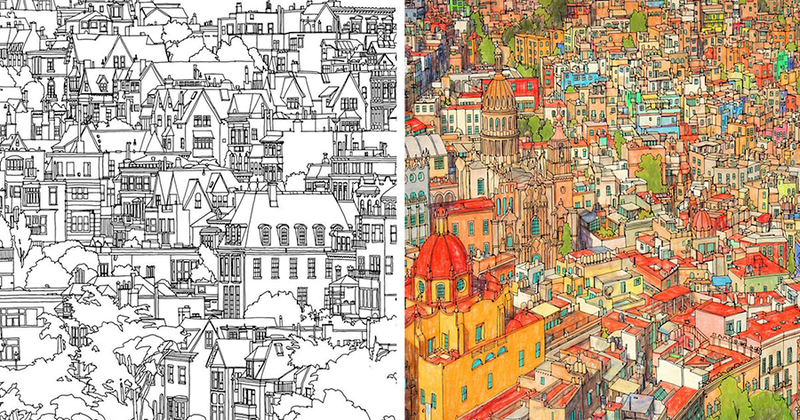 The sudden explosion in adult coloring books is nothing new. Suddenly it’s a popular thing to do, doodle away as a form of stress relief. Artists know the power of drawing. More than just benefits of stress relief, drawing helps you to solve problems. Drawing is a powerful form of thinking too. Einstein was able to understand the world of nuclear energy and time relationships because of his ability to visually see and solve problems. Humans think in terms of visuals, if it is most natural for your mind to think visually, doesn’t it seem logical that your mind can solve problems and be creative visually. Drawing is a great tool for thinking! Next time your stuck on finding a creative solution to a problem, try a mind map, or take a time out for exploration and curiosity and while your at it… grab a sketchbook and draw! Explore More on Creativity, Design and Art on my Blog at Art and Design Inspiration.